As residents are aware, I have had numerous discussions with Ofcom (the media regulator) about digital TV issues. Apart from the Freeview concerns (click on headline above to read more on these), I have discussed local TV provision with the regulator about the possibility of licences and local feeds from digital transmitters to ensure that Dundee could get another local TV service at some point in the future. Residents will recall the popularity of the Channel 6 service that many people in the West End used to be able to receive when it transmitted its programmes from the Tay Bridge transmitter. 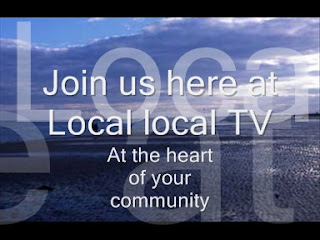 However, unless Ofcom allows for sufficient local tv licences for digital, further local television in the City would not be possible after the analogue switch off. I have discussed this matter with the Administration Group on the City Council, who unanimously supported my suggestion of lobbying Ofcom to make Dundee’s case, and the Economic Development Department has written to Ofcom on the matter. I am pleased that both Angus Council and Fife Council has indicated support, as has Dundee Contemporary Arts (DCA). I have now written to our local MP in Dundee West Jim McGovern to ask him to sign Mr Stewart’s motion. Had a read of the Scottish Sunday papers late last night on return from London. A very different read to the English editions I had read on the flight up to Edinburgh! I wryly smile at the comments of commentators who are criticising the Liberal Democrats for not cosying up to Alex Salmond and the nationalists at Holyrood. Eddie Barnes in ‘Scotland on Sunday’ quotes Salmond’s view before the election that Nicol Stephen and the LibDem MSP were “Barclaycard politicians – my flexible friends.” Sorry Alex, got that one wrong. I am afraid the LibDems will simply not sign up to expensive referenda aimed at separation. Of course, Nicol and his colleagues can’t win with the newspaper columnists. If they had signed up to Mr Salmond, they’d have been criticised for signing up to anything to keep the ‘Ministerial Mondeos’. If they do the right thing and reject the SNP separation referendum costing millions and an uncosted programme that is undeliverable, they get equally criticised! Tom (who he?) 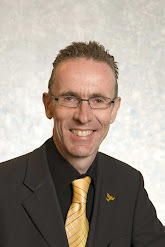 Brown in the same newspaper says – “Petulant LibDems betray their principles and the people.” Wrong Tom, the Liberal Democrats are right to reject the SNP programme at Holyrood. Actually, judging by the article elsewhere in the same paper saying the SNP has admitted it will tear up its manifesto, it would appear the SNP has rejected the SNP programme at Holyrood. On an entirely different matter, was pleased to see in Friday night’s Evening Telegraph that the City Council is undertaking a crackdown on fly-posting in the City. Readers of this blog and of the FOCUS in the West End will know that I have campaigned on this issue and it is good to see the City Council being proactive. Lastly, daft idea of the week comes from our local Labour MP, Jim McGovern, whose “solution” to the problems with the recent elections is a return to the first-past-the-post electoral system. Click on the headline above to view the article about this in the Press & Journal. I think we all accept that there were many problems with the 3rd May elections. A return to the stone-age first-past-the-post electoral system is absolutely not the solution. FPTP is a crude system that delivers results that can bear no relation to how the majority actually voted. Whilst accepting that having different electoral systems on the same day is not a clever idea, on the whole the STV council elections worked – most of the problems surrounded the “twin” constituency/regional parliamentary ballot paper. There is no need for separate days for council and Scottish Parliament elections. The answer is a proportional and fair STV election for both. And think of the other advantage … no second class “regional” MSPs – all MSPs would have a constituency, but elected by a fair system.